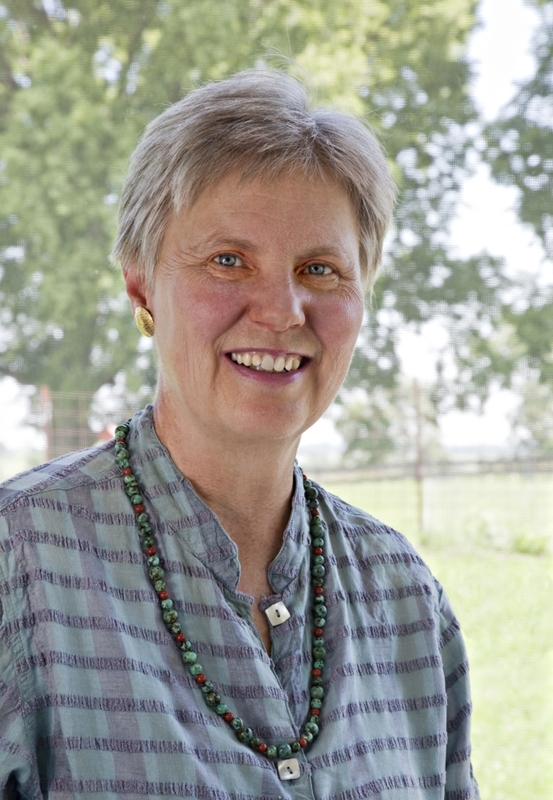 Mary Swander is the Poet Laureate of Iowa, the Artistic Director of Swander Woman Productions, and the Executive Director of AgArts, a non-profit designed to imagine and promote healthy food systems through the arts. Her latest book is a collection of essays called The Sunny Side from Route 3 Press. Her most recent book of poetry is The Girls on the Roof (Turning Point/Word Tech, 2009), a Mississippi River flood narrative. Swander tours a performance of The Girls on the Roof for the stage with Eulenspiegel Puppet Theatre. Currently, Swander is also touring her plays Vang, a drama about recent immigrant farmers and Map of my Kingdom, or Who’s Going to Get the Farm? Swander’s play Farmscape has been performed throughout the U.S. with a special performance for Secretary Vilsack at the U.S.D.A. Ice Cube Press published the play with a collection of essays in 2012. Swander has published scores of other books, essays, magazine articles and commentaries in such places as: The Nation, National Public Radio, National Gardening Magazine, The New Republic. The New Yorker. The New York Times Magazine, and Poetry. She is best known for her narrative poem Driving the Body Back (Alfred Knopf) , and her memoirs Out of this World (Viking) and The Desert Pilgrim (Viking). Ms. Swander has won numerous awards including an Iowa Author’s Award (2006), a Whiting Award (The Mrs. Giles Whiting Foundation, 1994), a National Endowment for the Arts grant for the Literary Arts (1986), two Ingram Merrill Awards (1980, 1986) , the Carl Sandburg Literary Award (The Chicago Public Library, 1981), and the Nation-Discovery Award (The Nation magazine, 1976) . Ms. Swander received her M.F.A from the University of Iowa Writers Workshop. She is a professor of English and a Distinguished Professor of Liberal Arts and Sciences Emerita at Iowa State University. She lives in an old Amish schoolhouse, raises geese, goats and a large organic garden. She performs her own work playing the harmonica and the banjo.